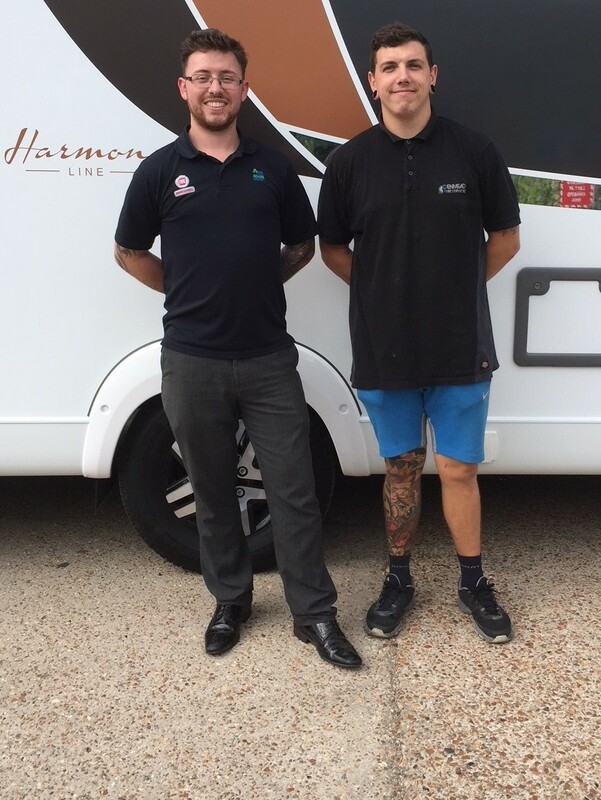 We hit the road to start our adventure on Monday 16th July. Its been hard work packing everything up from a four bedroom house and deciding what we need to take with us but we are finally there. We headed to Canterbury Camping and Caravanning Club Site to spend 3 nights here to have a ‘trial run’. The motorway’s were cruel and what should have taken 3 or so hours ended up taking 6 so we arrived at 9pm which wasn’t ideal but so be it, we couldn’t do anything about it so no point whinging we just needed to get on with it. On arrival the staff were helpful and we were shown where to fill up with water. We had only practised this at home up until this point. Colin started to unravel our hose and the plastic case snapped and the connector fell into the drain. Colin’s immediate reaction was to lift the grid off and retrieve it. Without thinking he put his arm into the water below and reached down. He looked at me alarmed and said ‘I have just put my arm into the foul waste water.’ At this stage he assumed it was the foul water, luckily it was only the grey water which is used shower and dishwashing water. So the week overall has been eventful and we have learnt a lot quickly. We met Stuart and Cynthia who have a blog flipflopsandwoollyhats.com they have also chosen to have a lifestyle change and we were able to get some great tips from them. On leaving here we drove to Portsmouth as we had a warning light appear on the dashboard. We went to the local Fiat dealer and met Alex and Craig who were both very helpful. They ran a diagnostic test and updated the software and resolved the issue for us. We then drove up to the New Forest for 1 night and stayed in New Milton. 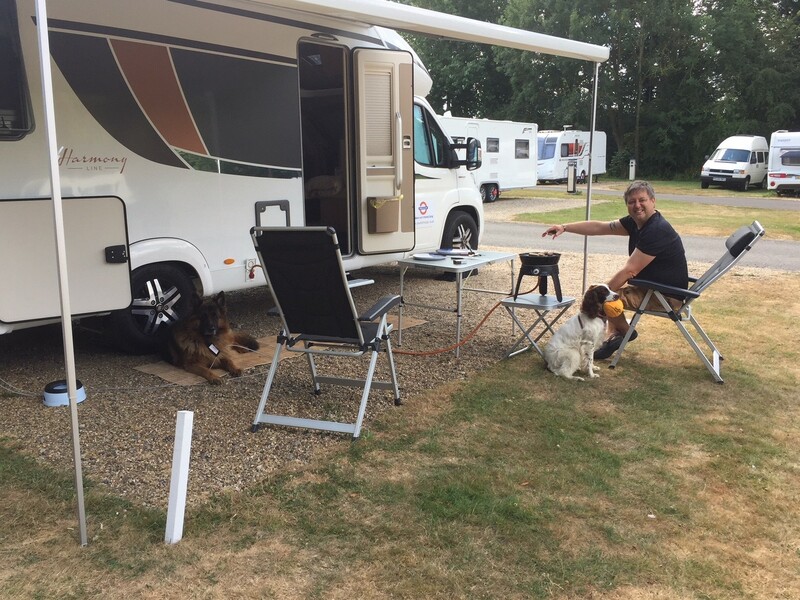 The site was very different to Canterbury and had limited facilities, giving us the chance to really test the motorhome out properly. 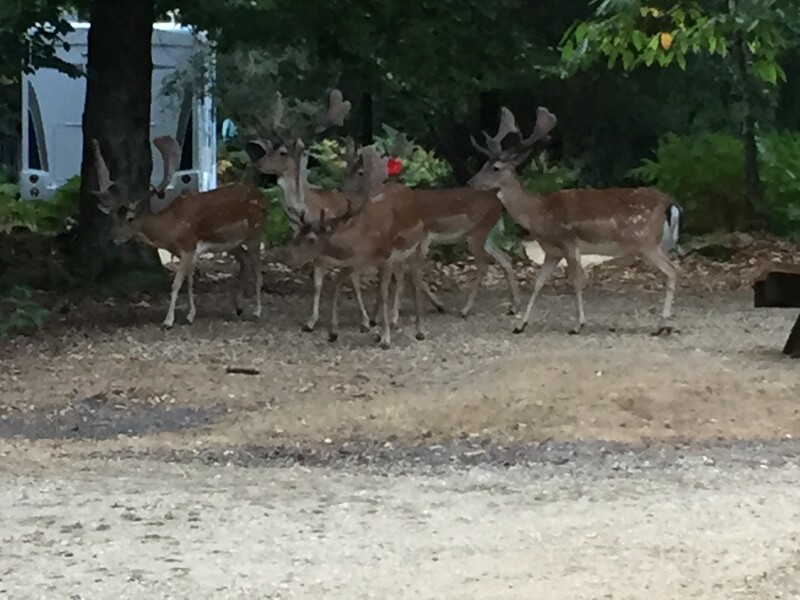 Whilst cooking our dinner on the BBQ we were greeted by about 7 stags, which was amazing. We are so looking forward to wild camping along the way. Can you spot Rudolph in the photo below? We are currently in Cornwall for a few days, saying goodbye to family and friends and unloading some of the random bits we have realised aren’t essential- who needs 4 pairs of scissors when living in a motorhome ? etc.. The dogs are happy and enjoying themselves too. They have adapted well and with each day they are learning their new routine. I have a 5 year old German Shepherd and wonder how your dogs are restrained when travelling. We have bought both the dogs harnesses from ‘Ezy Dog’ and they come with seatbelt connectors.